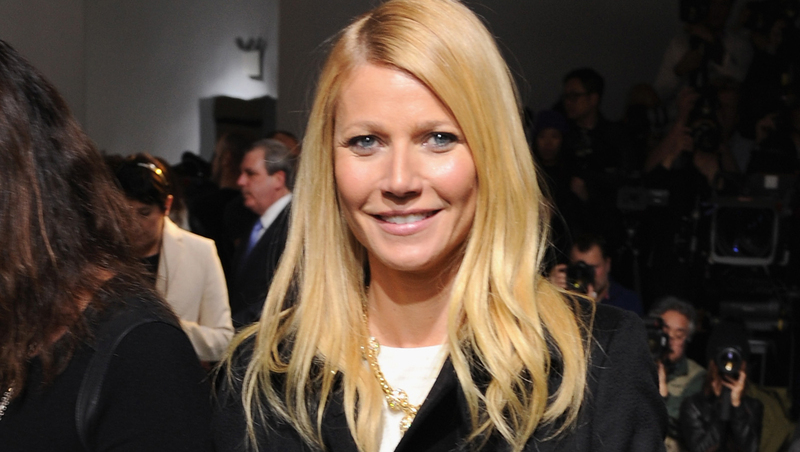 Gwyneth Paltrow took to her website Goop on Friday to clarify controversial comments she made to E! News in March that suggested she thought moms who work 9 to 5 jobs have it easier than her as an actress. "I think it's different when you have an office job, because it's routine and, you know, you can do all the stuff in the morning and then you come home in the evening. When you're shooting a movie, they're like, 'We need you to go to Wisconsin for two weeks,' and then you work 14 hours a day and that part of it is very difficult," she said. "I think to have a regular job and be a mom is not as, of course there are challenges, but it's not like being on set." Not surprisingly, the comments didn't go over too well with working moms, and Paltrow acknowledged the furor on Goop. "A few weeks ago during an interview, I was asked why I have only worked on one film a year since having children. My answer was this: Film work takes one away from home and requires 12-14 hours a day, making it difficult to be the one to make the kids their lunch, drive them to school, and put them to bed. So I have found it easier on my family life to make a film the exception, and my 9-5 job the rule," she explained in a post titled "Ending the Mommy Wars." "This somehow was taken to mean I had said a 9-5 job is easier, and a lot of heat was thrown my way, especially by other working mothers who somehow used my out-of-context quote as an opportunity to express feelings (perhaps projected) on the subject." She goes on to question why women are sometimes judgmental when it comes to other women's choices. "As the mommy wars rage on, I am constantly perplexed and amazed by how little slack we cut each other as women," she writes. "Is it not hard enough to attempt to raise children thoughtfully, while contributing something, or bringing home some (or more) of the bacon? Why do we feel so entitled to opine, often so negatively, on the choices of other women?" But though her observations about other mothers also undoubtedly opens her up to more criticism, she does end her piece with a conciliatory Mother's Day message. "To every single mother out there, have a wonderful Mother's Day," she writes.